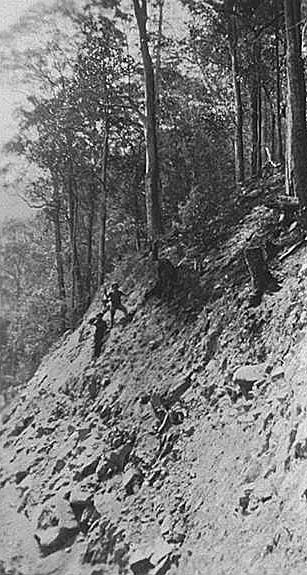 The Mudgeeraba-Springbrook Road was built largely by hand with the use of explosives, bullock teams and horse drawn scoops and rollers. Today, many thousands of people travel throughout the Hinterland with ease but in earlier years, moving vehicles (horse drawn or otherwise) through this area was very challenging, if not impossible. 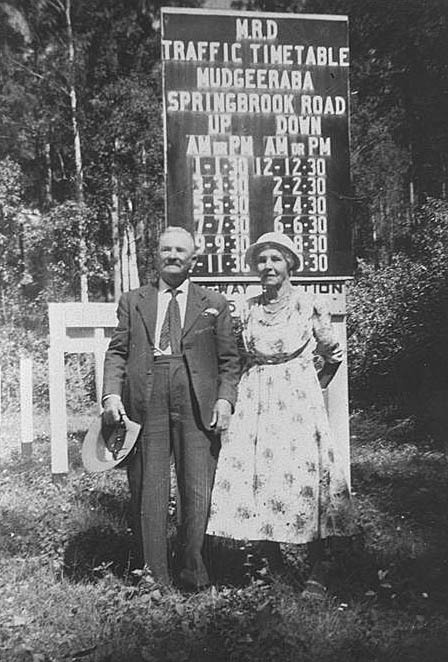 Forest Ranger, Gilbert Burnett, recommended in 1905 that the area on the Springbrook plateau be opened up for settlement and in 1906, Surveyor A. H. Burbank identified 8,700 acres of land for development. In 1906 the first selectors arrived having purchased land on the understanding that some of the money from the sale would be used to construct a road to the nearest railway station. 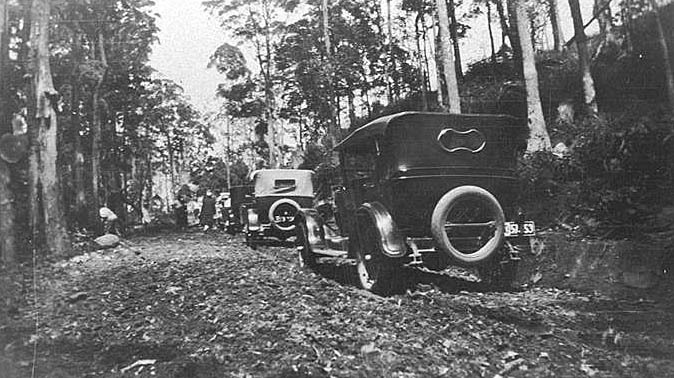 The nearest station was Mudgeeraba but, when the new settlers arrived, a road was already under construction to Nerang which was further away. 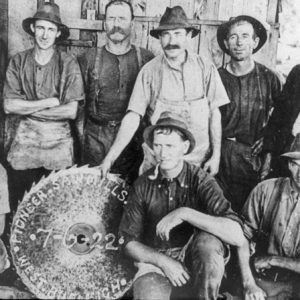 The settlers started to build their own track to Mudgeeraba and after its value to the new community was demonstrated, the Queensland State Government agreed to build the road. 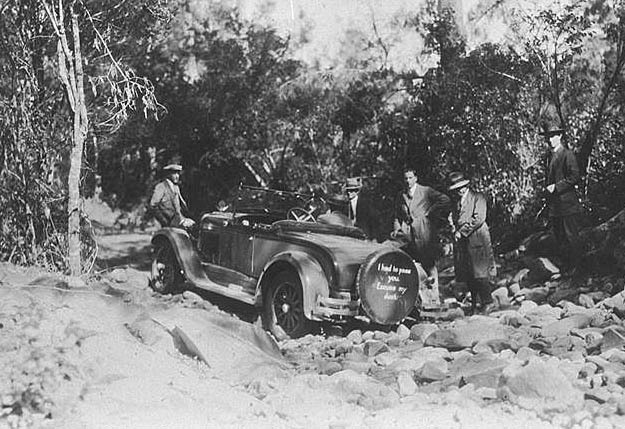 However funds were insufficient and the partially finished road remained inaccessible to motor vehicles and was a nine hour round trip with a team of horses. The road was said to be so difficult that any cream being transported along the road was churned to butter. 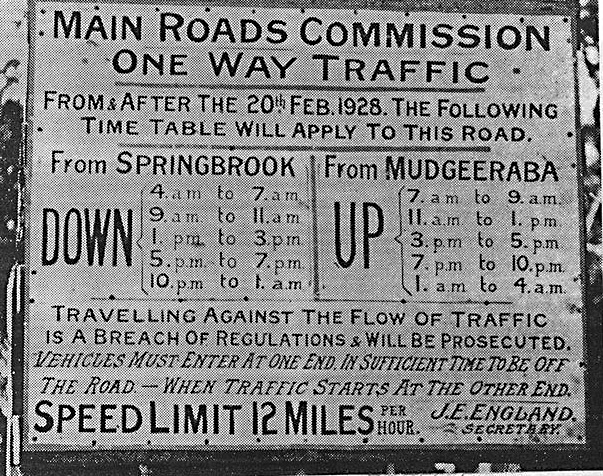 In 1919 the determined community formed a committee to find a solution and, following the creation of the Mains Roads Board in 1920, plans for an improved road were put in place. 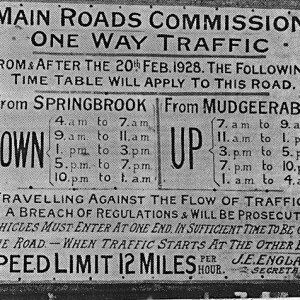 The Mudgeeraba-Springbrook Road was extremely difficult to construct on what was considered “…some of the most difficult terrain in the State…” (North from Cobargo page 10). It was built largely by hand with the use of explosives, bullock teams and horse drawn scoops and rollers. 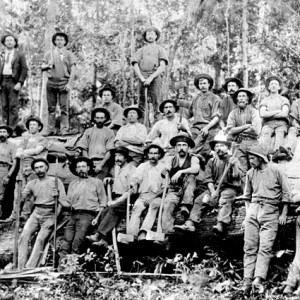 The men camped onsite throughout the week and returned home on weekends. 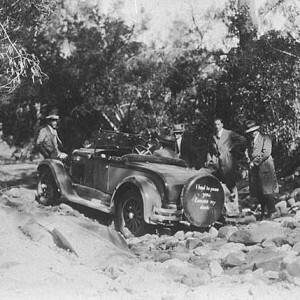 Over a period of time, the new road between Mudgeeraba and Springbrook was constructed and on Tuesday 22 June 1926 the first motor vehicle, a four cylinder Overlander driven by Mr. Green, made the journey. 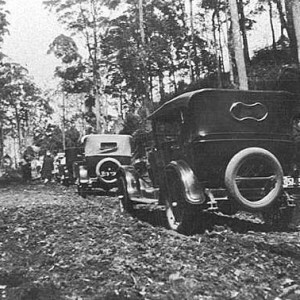 The completion of the road was announced in The Brisbane Courier as the ‘Conquest of Springbrook’. 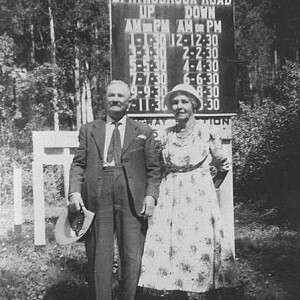 The narrow and steep terrain only allowed for a single lane and a time table instructing drivers when it was to be used for ascending or descending traffic was posted at either end of the road. 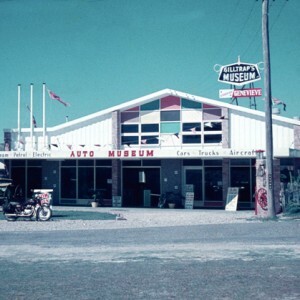 The road has three curved bridges which are World Heritage listed. The hardwood timber for these bridges, include ironbark, grey gum and spotted gum, which were locally sourced throughout the Springbrook area. After community consultation in 2013, the bridges were named: Mary Leu Bridge, Pte Frederick Anderson Bridge and George Gentry Bridge. 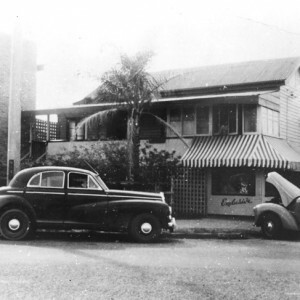 The Steering Wheel and Society & Home, [1932-1940] Brisbane: Web. 1 Sep 1938. The Brisbane Courier, (Brisbane, Qld.) 30 Jun 1926, p. 17. Smith, Robin. 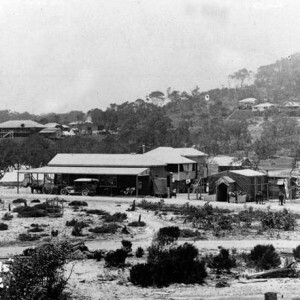 North from Cobargo : a chronicling of events surrounding the beginning of the Springbrook Settlement. Gold Coast: Gold Coast City Council, 2005. 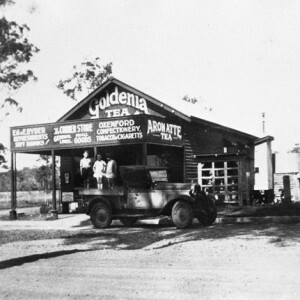 Queensland Government,Transport and Main Roads, Gold Coast–Springbrook Road, (June 2013). goldcoastspringbrookrdcommunityupdate0613.pdf Accessed 12/1/2016.